Pump stages – diffusers & impellers. 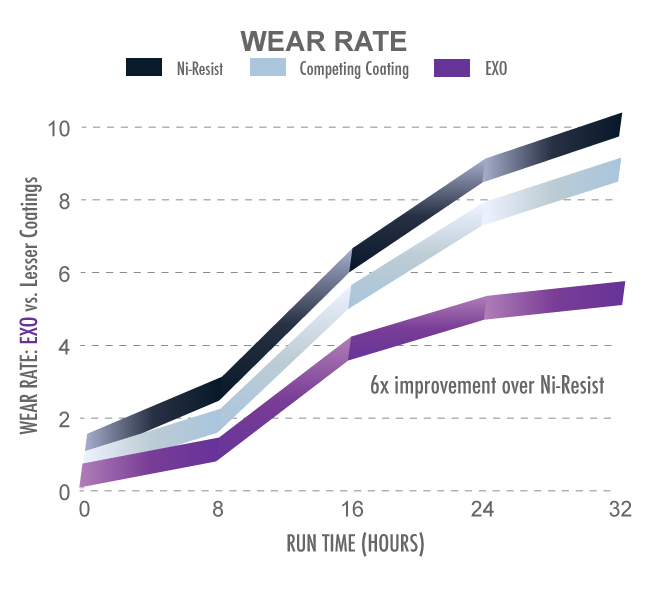 In down-hole field beta tests, EXO-coated pumps lasted a minimum of three times longer than the standard pumps, increased oil production 200% and demonstrated no appreciable drop in volume. 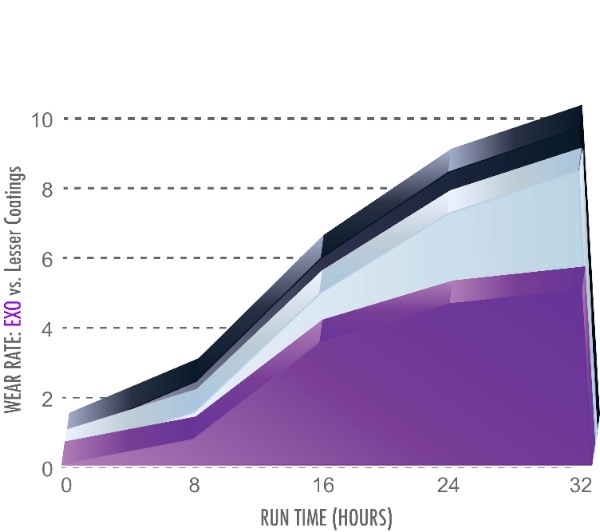 Review of coated diffusers and impellers revealed minimal wear on all key pump points. 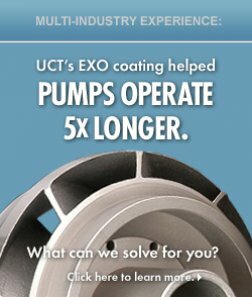 UCT’s EXO coating can be readily specified with all major ESP OEMs.